April showers bring May flowers! 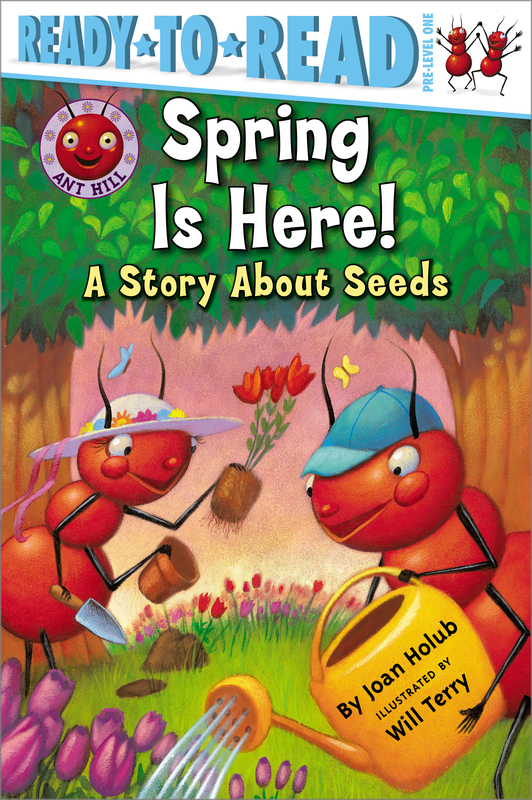 That is what the Ant Hill kids learn when they plant a garden of their very own and watch it grow! Will Terry grew up just outside the Beltway of Washington, D.C. He has illustrated books for Simon & Schuster; Scholastic; Random House; Holt, Rinehart and Winston; Harcourt; Houghton Mifflin; and Hooked on Phonics. He enjoys snowboarding, racquetball, mountain biking, backpacking, and camping with his wife and their three boys. They live in Coalinga, California. Book Cover Image (jpg): Spring Is Here!